The main plant at 655 Parkhill Rd. W. at Monaghan Rd. is just across the street from Jackson Park. A convenient spot if you live in the old west end, Chemong Rd. area or Bridgenorth and Ennismore. Parkhill is open from 7AM – 6PM Monday to Friday and 9AM- 1PM on Saturday. Same Day Service is provided Monday to Friday. Simply bring in your items before 9AM and they will be ready by 3PM. 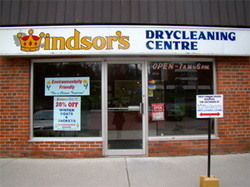 The West end depot is located at 1600 Lansdowne St. W at the corner of Kawartha Hts. Blvd. 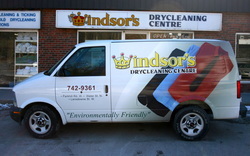 Directly on route if you travel from Cavan, Mapleridge, College Park, Fleming College and Kawartha Hts. 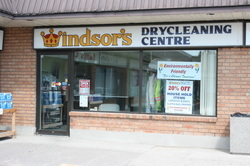 Kawartha is open from 7:30AM – 11AM & 2PM - 6PM Monday to Friday. Bring items in by 8:30AM and they will be returned by 4PM. This location is also open Saturday from 9AM – 1PM. The north end depot is located at 1123 Water St. North at the corner of Marina Blvd. Directly on route if you are travelling from Lakefield, Trent University, University Heights or Edmison Heights. Riverview is open from 7:30AM – 6PM with same day service available Monday – Friday. Bring items in by 9AM and they will be returned by 4PM This location is also open Saturday from 9AM- 1PM. City wide Pick Up and Delivery is also available if these locations are not convenient for you. Pick up & Delivery is Free with a minimum order of $30 in town. Different areas of the city are covered on different days but return time is usually no more than 3 business days.